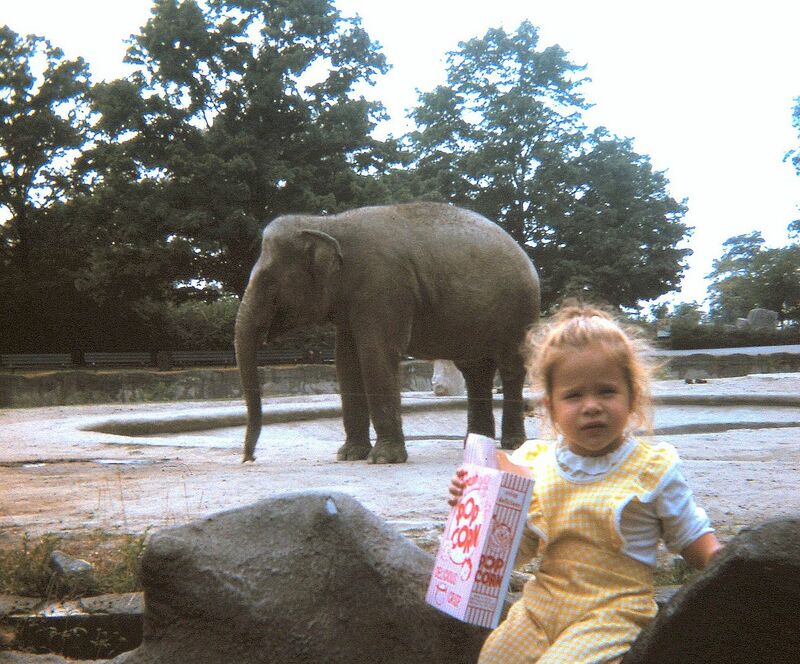 Doesn't it look like I was just sitting in the arena with the elephant? In reality there was a small wire fence separating me from the elephant (if you look closely you will be able to see a small line just above my ear - that is the wire fence). As you can see by the worried look on my face I did not feel comfortable with the parental placement of myself. It almost looks as if I had just finished saying: "you have got to be kidding me!" 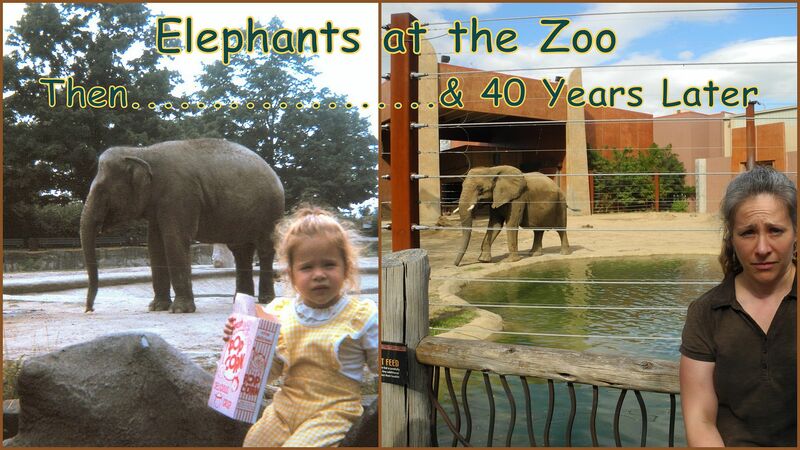 Then, forty years later I tried to replicate the scene - including that expression on my face (the only thing missing is the popcorn) (see picture collage below) ENJOY!